But what in fact happens in our brain? 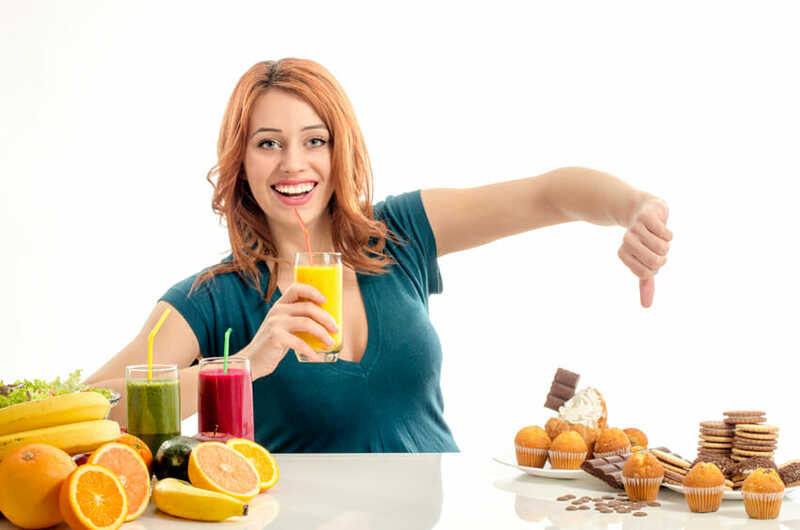 Let’s say you are trying to cut back on sugar or stop eating fast food, but you are lazy and cannot find the time to prepare or cook your own food. Or you want to start exercising, but even a mere thought about going to gym or running makes you unwilling to even consider how to activate your body. It seems as a mission impossible to put an end on such unhealthy behaviors. It is all part of your routine. Every day, every week, and every month – we do mostly the same activities and start to identify with them. We do certain things automatically, thus don’t even know what we are doing. When it comes to food, most people think about it as the fuel that keeps the body moving. That’s only a half of the truth. If you are inclined to go for a run every time you come home from work – that’s a habit. When you instinctively reach for a drink every time you are stressed, or a cigarette every time you are nervous – that’s another habit. A behavior that is automatic. We automatically wash hands or put on a seat-belt. We drink coffee in the morning, also automatically. Certain behavioral patterns we do over and over again are literally carved in our neural pathways. We form both healthy and unhealthy habits all our lives, and we mostly only think about breaking the bad ones instead of forming new, healthy behaviors. Developing new habits is equally important as destroying bad habits. Moreover, destroying can mean starting healthy habits by breaking the unhealthy habits. Eating healthy food and sticking to a healthy diet can become a habit. Thanks to decades of research we now know that the actions we repeat in a consistent context lead to actions being activated once we are in the same environment, due to the associative learning. Thanks to psychological research we also know that habits are relevant to health thus we can and should turn health-promoting behaviors into habits. All habit-forming activities – parallel parking or exercising – follow the same behavioral pattern. We can turn to healthier habits by repeating an action consistently in the same context. We are victims of habits – I am certain you here this sentence often. I hear it frequently, but only spoken in the context of habits one is less proud of – to put it mildly. What I propose is to change the context, and start thinking about habits as something we can do to feel or be better. To understand how to build good and healthy habits we must understand how habits are formed, that is, to understand the structure of habit formation. Science explains that it takes around 66 days to form a habit. However, this varies greatly depending on person, and circumstances, and behavior. But what seems to be the biggest obstacle? The obstacle is in our mind, of course. Precisely – our mind. Even when we know we are doing something wrong, it’s not easy to actually change the behavioral pattern. Even if we know what we need to do, we cannot make ourselves to perform an action. Our mind is of dual nature and doesn’t make a difference between behavioral patterns in terms of positive or negative and that’s why habits are strong and hard to break. When it comes to our brain it’s somewhat harder to change behavioral patterns we are not even aware of. But it is possible, even, desirable to introduce new, healthy habits and get rid of the old and bad ones. In the process of learning something new, habits are formed. This process involves part of the brain that controls and triggers emotions and movements, memories and pattern recognitions – the basal ganglia. The process of making a decision happens however in another part of the brain – the prefrontal cortex. When a new behaviour becomes automatic the part of our brain that is in charge of the decision process goes somewhat into a sleep mode. We then start doing things without thinking about them. The process of forming a habit has three steps – a trigger (a cue), a routine and a reward. Trigger is a step for a habit to start, the routine is the behavior, and the reward is in fact a state in which a brain learns to turn a certain action into an automatic behavior. So, there is a trigger that signals to our brain that we need to do something in particular that our brain has already turned into an automatic routine – a signal in our brain that prompts a person to reach to a cigarette every morning, for instance. The important and most complex part of habit formation is the reward as it is sometimes unclear what reward is driving the behavior. We are not talking about a satisfying experience, or the experience that is literally positive though, but also an experience that is or can be painful. A good example is nail biting. If we suppose that a cue for nail biting is boredom, what is the reward? it appears that the reward is that unnoticeable pain a person experiences while biting the nails. How is that possible? The boredom and the pain occur in the same part of the brain. As the pain overwhelms the tension of boredom, our brain starts to prefer pain over boredom. We wanted to escape a certain state, and our exit strategy is a compensation. If we do this over and over again, we form a habit. According to the scientists the brain takes a break allowing us to direct our focus to other activities. In other words, the mind can now devote to some other mental activity. This is how we learn new behaviors. However, it also means that somewhat around 40 percent of the time we are not thinking about the things we are doing. So there’s a question: how can you change a pattern of behavior if you are not even aware of it? Studies have shown that when people are in the same environment they will perform automated behavior. Hence, it is not a surprise that we perceive vacations as highly desirable activities. With changing the environment, our brain can break certain habits, and we can feel relieved or satisfied. It all comes to this: when the cues changes, patterns are broken. But habits persist even after our motivation or interest are reduced. You need to be less strict with yourself. Most of our days we go through good activities and habits. If we don’t have routines we would have to think about everything we do all the time and our mind will not be free to learn new things. As we have good habits we also have bad ones, and what you need to remember is that we ALL have them and we all need to put much effort to break them. There’s a cause and function behind every habit, good or bad. We put the seatbelt on to protect ourselves. We wash our teeth to maintain healthy hygiene and prevent visits to dentist. You might eat only to comfort yourself. Or, you are smoking to be able to pause and think. Everything we do, we do it for a reason, even when we are not conscious about it. To break a bad habit you must know the function behind it. What is the reason you are eating so much snacks? Is it boredom? Or is it emotional eating? Are you compensating certain emotions with food? There is one thing you can learn from your habits – think more about the problems that you need to deal with. There is no use if you sweep your problems under the carpet. It might be painful, but the final outcome is going to bring you satisfaction and your self-confidence will only be stronger. It is normal to sometimes feel guilty for having a bad habit, but you are not going to make any changes or improvements if all you do is putting yourself down. For a bad habit to break you need more time and energy, so don’t get discouraged. Some need about three months to develop a new habit and substitute that new behavior for the bad one. Some people will need more. Given our brain understands both good and bad routines as automatic, it can be difficult to get rid of them, but don’t give up. There is one thing you should always keep in mind – healthy eating is not about strict diets or depriving yourself of the foods you enjoy. A good diet is healthy both for your mind and body. A healthy diet is about feeling good, both mentally and physically, having more energy, being happy. 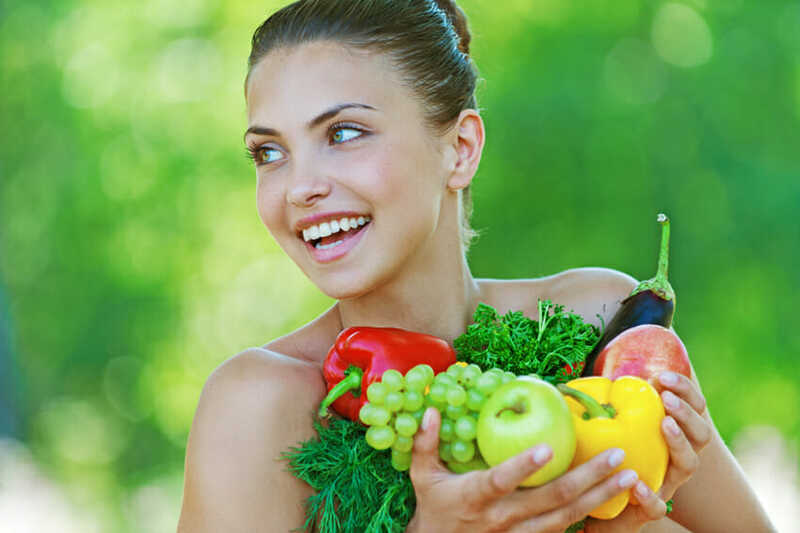 Moreover, healthy eating is also about maintaining a healthy weight and avoiding certain health problems. 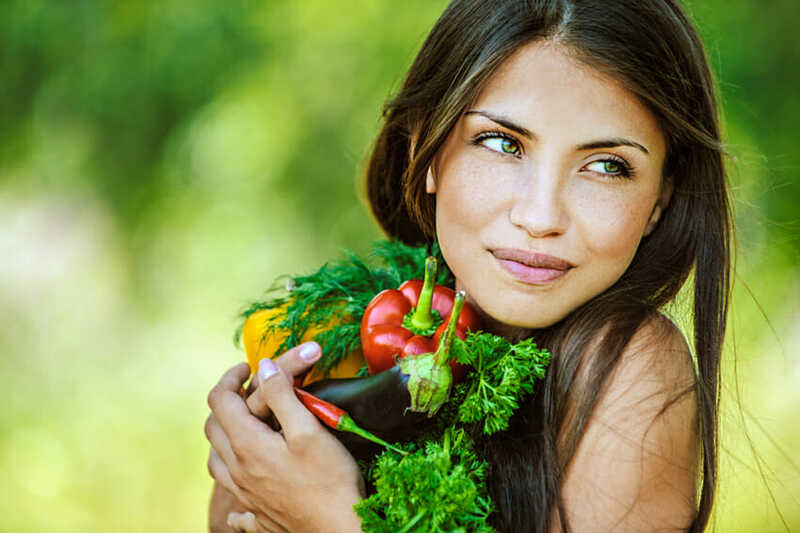 But the overall dietary pattern is important, including exercising and leisure time – that’s how you should approach developing more healthy eating habits. That being said, we can now see what are some things you can do to start healthy habits. The goal should be flexible and measurable, meaning you need to know specifically what your goal is. Many understand goals as strict, non flexible actions. In this situation you need not to forget that you want to create a good habit, for what you will need time. Don’t get disappointed if you fail the first time, but rather commit yourself to doing it right the next time. That’s why your goals should be flexible as you need to take one step at the time. When you say – I want to exercise more – what does it really mean? Are you joining a yoga class or are you going to work out in a gym with a personal trainer? How are you going to exercise more? And how often? Every day? It’s best to have a structured and specific plan. To keep up with your progress you should set short-term time limits. This way you will be able to track your progress and see what you need to change. You can also become aware of you stronger healthy habits and make them a priority. Make a schedule of all the things you want to do and do them at the same time every day, sticking to your schedule. Yes, it can be hard to maintain discipline, but you can only develop a good habit with practice. The more you do a certain action, the more you will get used to it, and turn it into an automatic behavior. To sum up – practice your goal on a regular basis, and repeat it until it becomes the part of your daily routine. Stay organized – This is probably the hardest part of developing a good healthy habits as we can often find excuses for not sticking to our plan. That’s why you need to organize your activities. Use your intuition and your instinct to control the situations when you act irrationally. Learn to think clearly about the things you are about to do, and start thinking about them in terms of related actions. Listen to your body, and don’t think about instant results. Invest time to find out the function behind a bad eating habit but don’t spend time to go into details. If you are determined to find the problem, you will locate what drives certain habits. Thus, there’s no need to go into detailed analysis, rather you should simplify what you already know. If you already know you are substituting snacks for lunch, you can easily find where the problem lies. When you list all your bad eating habits and recognize their patterns, you can try and start doing the opposite. If you eat too much unhealthy processed food you can think of ways how to substitute it for raw, real food. Or if you are eating late at night, you can try and decrease the portions size for start, and try to engage in other activities that will keep you busy. Start listening to your body when and after eating. Why? Our body can tell us amazing things about our eating habits and the food we consume. 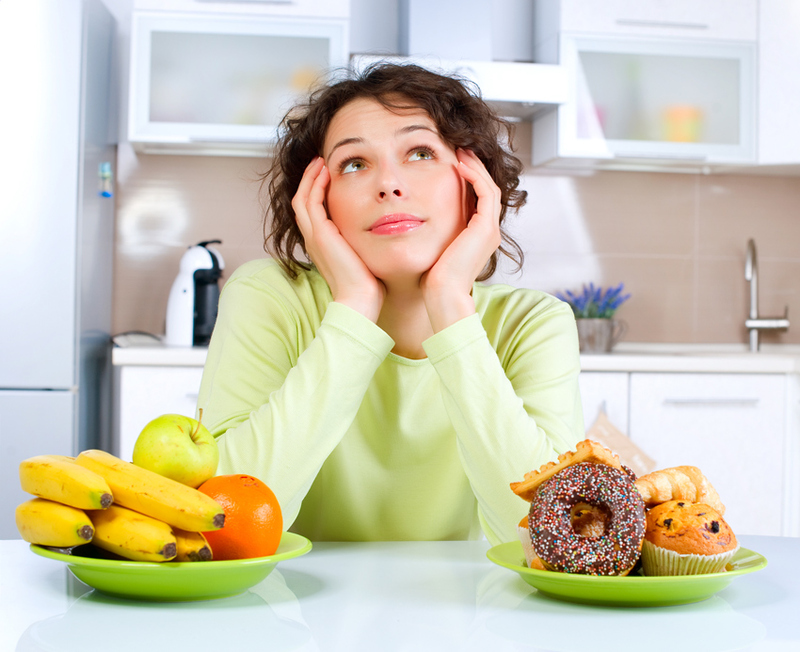 Moreover, thinking about the food will help you focus more on the changes you want to make, foster new habits. You will feel better when you eat healthy food, and you need to keep that in mind. The more healthy food you eat, your body will ask for more and you’ll feel better. Acknowledge that experience and environment. To set yourself up for success and to introduce and develop new healthy eating habits, start with planning small steps and stick to your plan. Understanding how habits are formed and how to change them from the beginning will make it easier to commit to making improvement. You don’t have to change all at once, but you do need to be patient and focused.